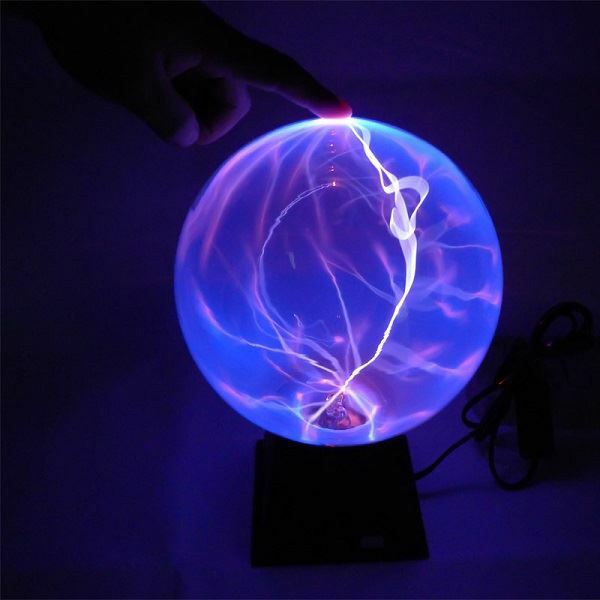 Plasma balls have fascinated adults and chidren alike for ages, and remain one of the most popular novelties today. 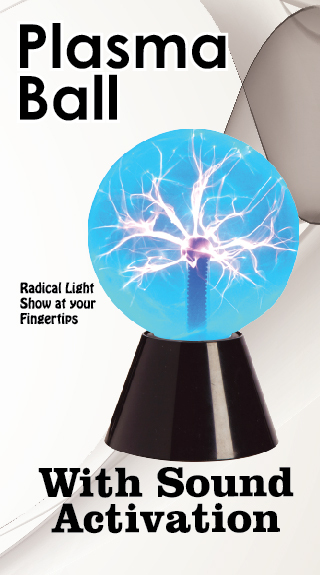 What looks like an innocuous glass sphere sitting on a plastic base turns on to become an interactive lightshow. Using a Tesla coil and special gases, plasma balls create plasma, the fourth state of matter, similar to lightning. 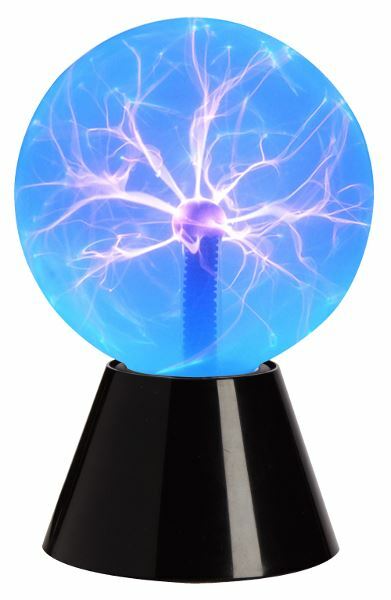 These colorful bolts of plasma flies continuously from the coil at the center of the sphere to the outside, and gather at your fingertips wherever you make contact. |Regular mode where plasma shoots out constantly. AC adapter included to eliminate the need for batteries.